Clear all jellies and reach 55000 points to complete the level. This level is easy and you need to play with few good steps to complete this level. First try to play near to grills and then play and wait till moon struck. 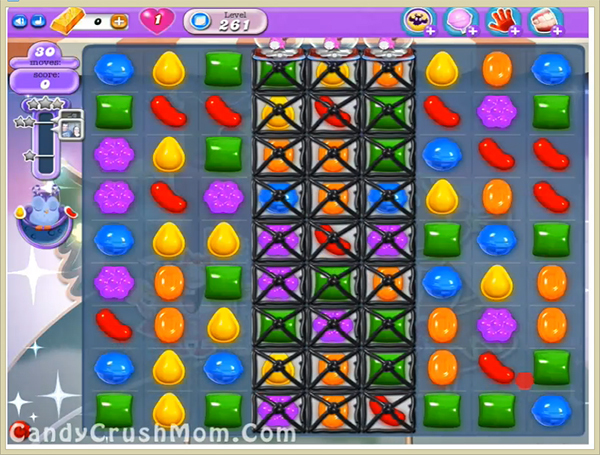 After use special candies or other special combos like colorbomb with striped candy to break more jellies with less moves. We completed this level with 531760 score using same strategy plus use special combos that help to complete this level with three star score.